We are engaged in offering a range of antibiotics that is formulated using quality chemicals. These include antibiotics that is appreciated for accurate composition and effectiveness. 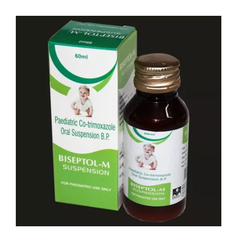 Co-Trimoxazole per 60ml Paediatric Suspension (called 'Co-Trimoxazole' in this leaflet) is a combination of two different antibiotics called sulfamethoxazole and trimethoprim. Drugs used in diabetes treat diabetes mellitus by lowering glucose levels in the blood. 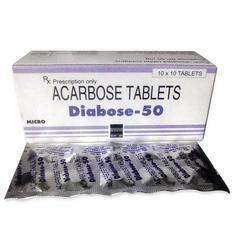 With the exceptions of insulin, exenatide, liraglutide, and pramlintide, all are administered orally and are thus also called oral hypoglycemic agents or oral antihyperglycemic agents. There are different classes of anti-diabetic drugs, and their selection depends on the nature of the diabetes, age and situation of the person.